If you are traveling to the Pacific Northwest, and you’ve decided to fly into Seattle because the flights are cheaper, you might as well take in a little bit of the splendor that is Washington State before hauling tail down into Oregon. Or you could spend an entire week, or month, or likely year wandering just the endless beauty that is Washington. The first I can help with, the second, is still just a dream for me as well. So for the moment let’s just focus on the amazing sights and locations I’ve actually seen and managed to get some decent photographs of – the southern Washington coastline. If there is any time to use a good GPS that you have up in front of you, it’s getting from the SeaTac airport to Highway 101 going south. I don’t know if it was the 4 different conversations going on in the car, the fact I had my phone down in the center console instead of up in front of me with the turn-by-turn, or I was just worn out from the flight, but getting the car pointed in the right direction on the right road was easier said than done – and I’ve navigated Houston roads. That’s saying something. Once you’re on the 101 though, it’s a simple and fairly direct route down the coast with a few slow downs and stop lights along the way. 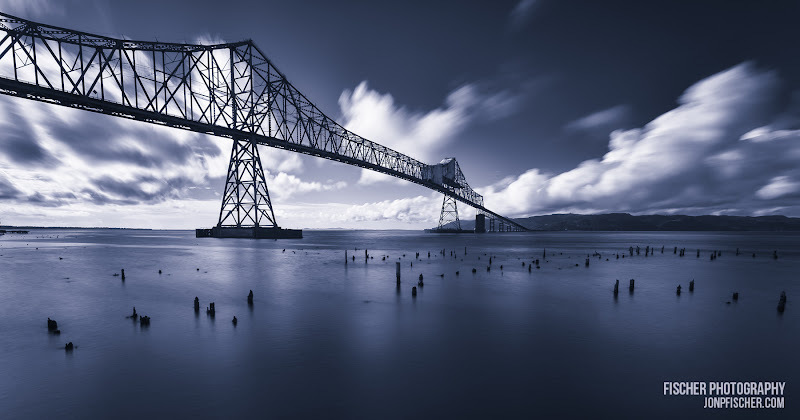 If your route has you coming from elsewhere in the region, a good plan is to simply aim for Astoria and take the beautiful Astoria-Megler bridge over the Columbia River and into Washington. During my 2014 trip, I stayed in Long Beach for a night while exploring the region, during my last trip we only made a fairly quick stop in route south towards Cannon Beach on the northern Oregon coast. There is plenty to see and explore on the north side of the Columbia to easily make a night (or more) stop worth it as you’ll soon see. Beyond the amazing rugged coastline? Beautiful (but chilly) beaches? Crusty old fishing boats (and lots of fresh caught seafood!)? Let’s start with my top 3 must see spots on the southern Washington coast. Situated on the far southern end of the Washington coastline, I usually start with North Head Lighthouse when venturing out from Long Beach or coming down the 101. While technically part of Cape Disappointment State Park (see the following section), it sits far enough away from the other areas of interest in the park for me to consider it its own section. The lighthouse is an impressive looking 65 ft tall structure standing high on a bluff overlooking the Pacific Ocean. 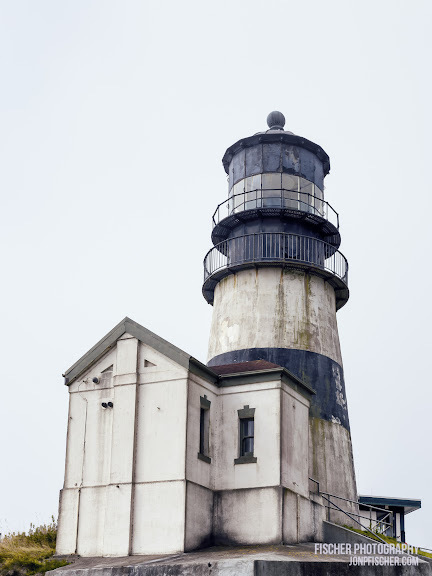 Constructed in the late 1890’s as a supplement to the Cape Disappointment Lighthouse to aid ships traveling from the north. I’ve shot here for both sunset and late-afternoon under mostly cloudy skies. Very different looks, but with plenty of composition options for the lighthouse not to mention the beautiful coast line on either side, any time that’s not in direct sun with no interest in the sky is a good time to visit. There are a number of trails up the coast and down to the beach from the parking lot at North Head as well for further exploration. Bell’s View trail heads up the coast from the parking lot and provides some nice views of the lighthouse as well as rich thick forests that are typical of the region. If you have more than a little extra time on your hands, consider striking out on the North Head Trail to Battery 247. I haven’t made the hike yet, but I have no doubt it’s a beautiful area to spend a few hours. 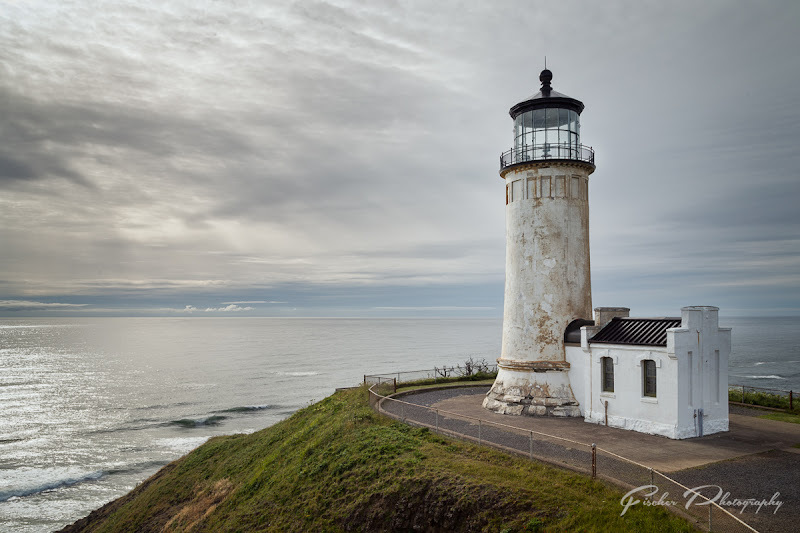 If you still haven’t gotten your fill of Lighthouses, or are ready for something completely different, head just around the corner – almost literally, though you might want to take the short drive – to Cape Disappointment State Park and Cape Disappointment Lighthouse. This lighthouse actually faces into the Columbia River rather than out to sea. Plenty of little inlets and coves as well as high bluffs to scout for compositions worth capturing. There is also the Lewis & Clark Interpretive Center and Fort Canby. With American History, Military History, Seafaring History, not to mention more of that lush beautiful Pacific Northwest forest to explore, there’s something here for just about everyone. Do note that there is still an active US Coast Guard station and presence in the area, so be mindful of signage and respectful to those service men and woman doing their jobs in the area. The main parking area for the park sits near the remains of Fort Canby before heading past ‘Deadman’s Cove’ and then on out to Cape Disappointment Lighthouse. It’s a fairly short hike, but a fair bit further than getting to the North Head Lighthouse from its parking area. Rounding out my top 3 picks for northern Washington sights to see is Fort Columbia State Park. Situated just west of the Washington end of the Astoria-Megler bridge this coastal defense Fort was active from the 1890’s up through the end of World War II. Today there are intact gun emplacements, beautifully restored buildings as well as several miles of hiking trails to explore. If you’re coming from Long Beach or Cape Disappointment State Park you’ll travel through the small fishing village of Ilwaco. I haven’t had the opportunity to explore much here beyond a number of slow drives through town, but I certainly see plenty of reasons to stop and explore if time allows. The turn off from Highway 101 is a sharp and steep right turn coming from the West, be even more on alert if coming from the east from Astoria. You’ll quickly drive up the hillside on a steep narrow road before getting your first view of the former coastal defense emplacement. You quickly understand why the location was chosen to host big military guns to defend the mouth of the Columbia River. You can see for miles up and down the Oregon side of the river bank and right on out towards the sea on a clear day. 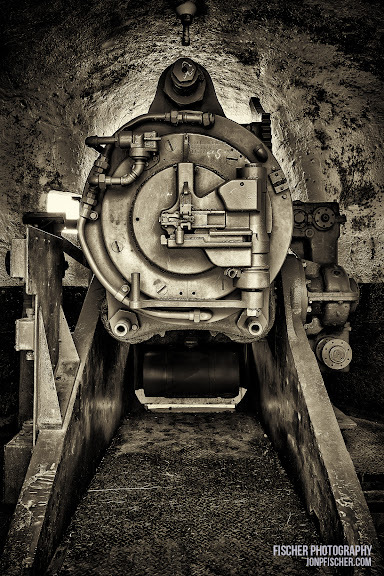 Unlike many of the other former coastal defense forts I’ve visited in the Pacific Northwest, Fort Columbia still has a number of it’s World War II era guns in place (sealed of course), as well as a significant number of its Administration and other buildings still standing. If you’re looking for a fort that has more than its thick concrete shell remaining – this is the best option I know of. As with any of these old Forts and other batteries, be extremely mindful of your footing and where you’re stepping. 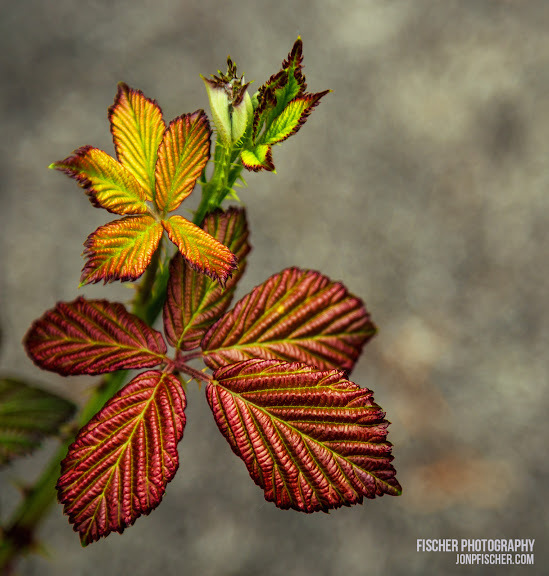 Don’t fall into the trap that so often befalls photographers of putting their camera to their eye and taking a step or two in some direction to get the perfect composition. While there are plenty of railings in most areas, it’s still quite easy to edge too closely to a stair case or odd step that might send you over the edge of somewhere you would rather not land. I will admit that the southern Washington coast has been a secondary attraction to me on my previous trips to the region. Not because it’s not worthy of my full and undivided attention, but simply because I know more about and aimed more of my trip towards the Oregon side of the Columbia River. That said, I consider North Head to be one of my favorite spots along the entire coast that I have explored, and would love to spend more time hiking the trails around Cape Disappointment and finding the ideal time of day to shoot at Deadman’s Cove. The more I explore and photograph each area of the Pacific Northwest the more I am convinced you could easily spend an entire day within a 2 mile radius of any state park, pull out, scenic viewpoint, etc and not tire of the views and compositions to shoot. The southern Washington coast is most certainly a prime example of this. During my most recent trip this year, for which I’m writing this ‘Volume 2’ of the PNW Chronicles, we only made a fairly brief stop at North Head Lighthouse. Two of my traveling companions had never seen a ‘real’ lighthouse. The mostly ordimental lighthouse on Lake Ray Hubbard in Rockwall Texas really doesn’t count in my opinion. So, since the decision had been made to travel down the 101 instead of the more direct route of I-5 to get to Astoria, I made the last minute decision that it was a worth while, and truly minor in terms of distance, detour to stop at North Head. The walk from the parking area down to the Lighthouse is at most a half mile, fully paved, and since the skies were doing that wonderful mostly overcast but with some nice texture thing they do, even if it was 4 in the afternoon, we figured at the very least we could get some detail shots of the ferns if nothing else. I didn’t get a chance to explore Bell’s View Trail this time around, and as we departed towards Astoria and then on to Cannon Beach for our sunset destination, I recalled an old water tank covered in moss I had so wanted to explore ‘the next time.’ That will have to remain on the ‘next time’ list for me. 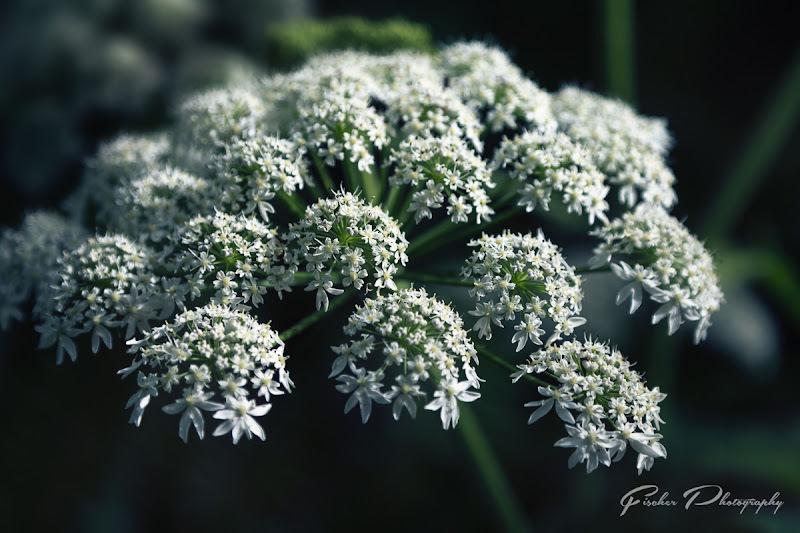 As is the case more often than not – there’s always one more view, one more shot, one more hill side to climb down or rock to peek around to see what hidden treasures for the eye and lens might be there. If you haven’t found more than enough spots to explore at my top 3 picks above, and are not ready to head across the Astoria-Megler bridge into Oregon (and thus read on to my next installment of this series covering the northern Oregon coast), there are a few options. First, Ilwaco looks to be a great little town to explore. The harbor holds a great number of fishing boats that beg to be photographed on foggy days or sill quiet mornings at first light. Back up to the north a little ways closer to Long Beach there are a number of Wildlife Refuges that might interest those with long lenses and birds on the brain. And on the far north end of the Long Beach peninsula is Leadbetter Point State Park. Note: the Washington Discover Pass is required at most State Parks and other areas, good news is that there are automated kiosks to purchase Daily passes (and I believe 3-day or Yearly as well.) The Daily pass is $10 and should get you into most of the Washington side parks. So make a day of it (or 3) and explore all of what Washington’s coast has to offer!